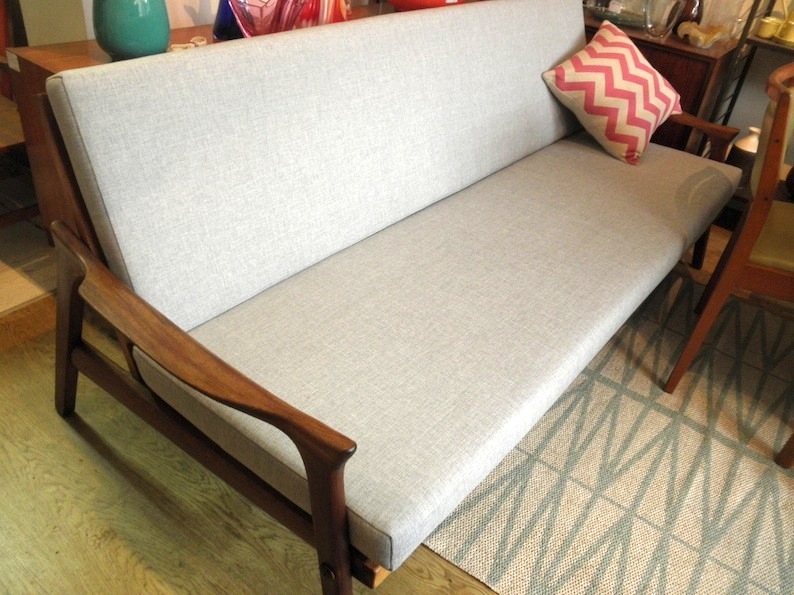 This Danish Deluxe Inga daybed has been fully recovered with new cushions and straps. It is a lovely blackwood model with richly toned timber work. 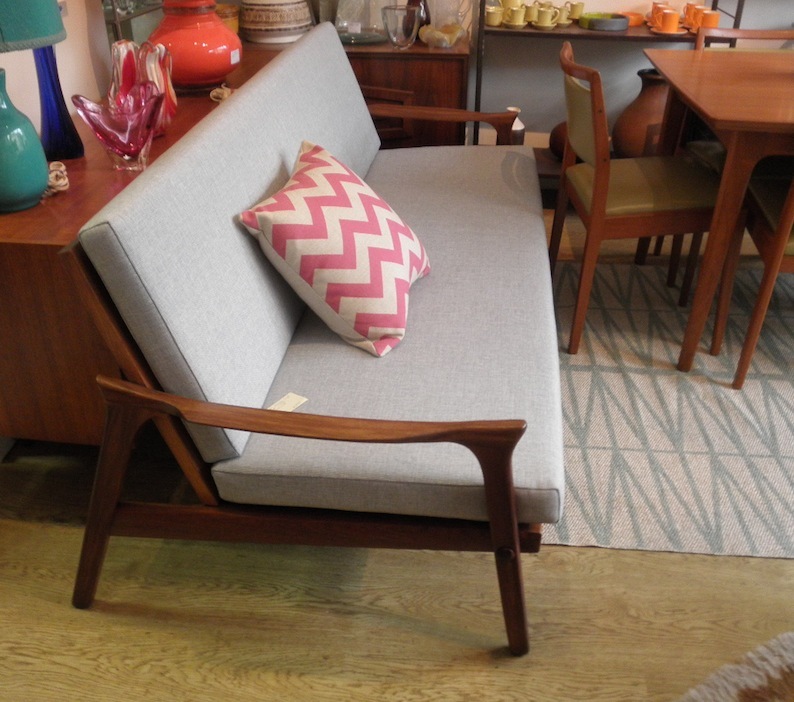 The fabric is Warwick beachcomber in a soft pale grey. 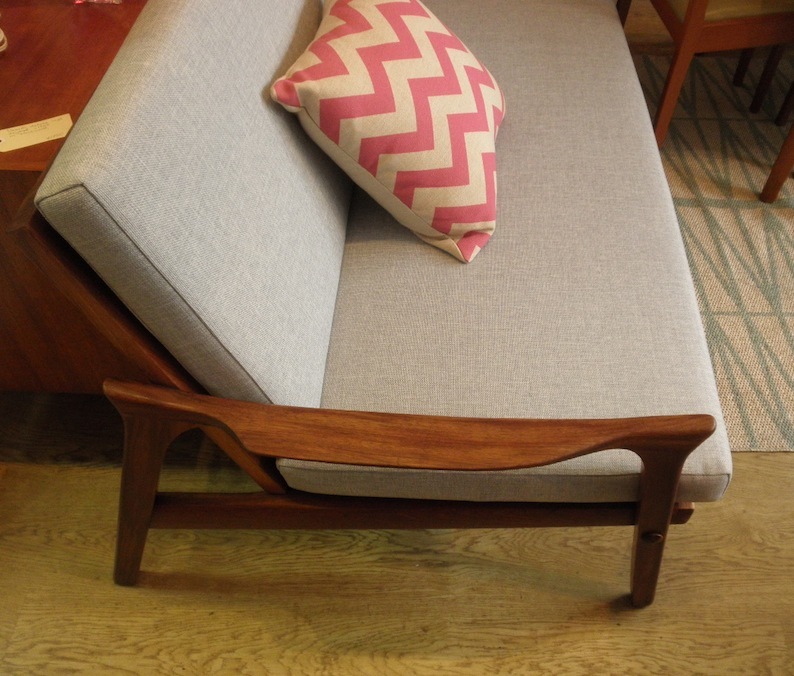 We also have several other original daybed frames available in the process of restoration so you are able to choose your own fabric if you would prefer. Contact us for more details on fabric choices or any other questions you may have.